Located on the northwest side of Seattle&apos;s Capitol Hill neighborhood, Streissguth Gardens is an urban oasis. 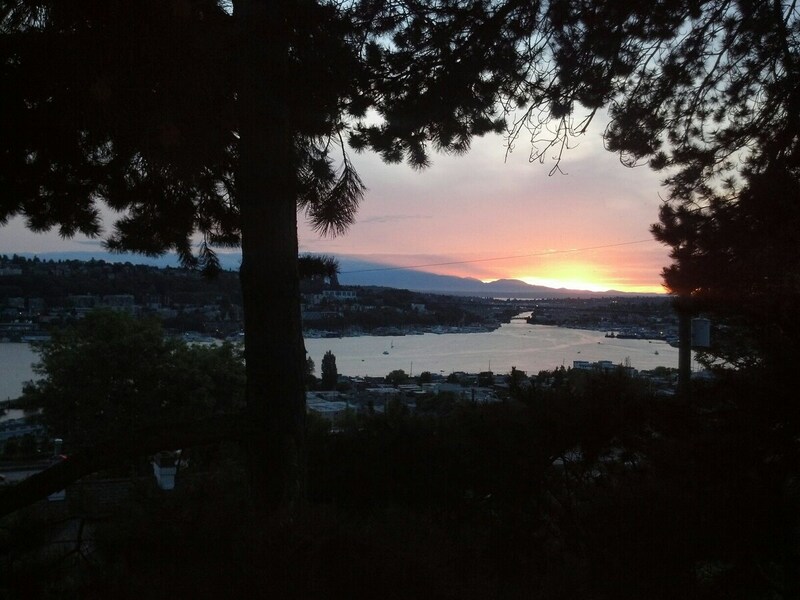 A small, family-maintained garden on a steep hillside, this little-known gem in the middle of bustling Seattle offers amazing views of Lake Union, downtown Seattle, and the Olympic Mountains. 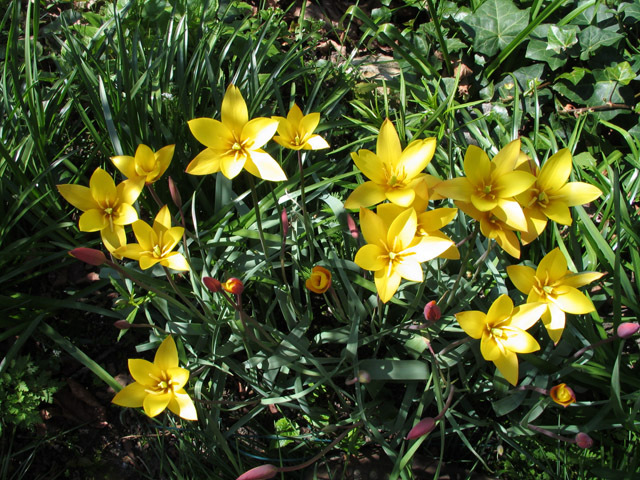 Plantings have been selected to offer flowers every day of the year. Along with the beautiful vegetation and view, visitors enjoy winding trails, gurgling ponds, and birdsong. Developed gradually over the course of more than forty years, the gardens have grown from a tangled hillside to approximately one acre of cultivated woodland and perennial beds. The oldest gardens surround the family&apos;s two houses on Broadway East, just north of the East Blaine Street stairway. These gardens remain private, but visitors are welcome by appointment. The newer portions of the gardens lie south of the East Blaine stairs and they are now publicly owned and open to visitors year-round free of charge. The Streissguth&apos;s still maintain these public gardens for their new owner, Seattle Parks and Recreation. An estimated 7000 people visit the garden annually, and perhaps 35 – 40,000 people use the stairs. Described in Jake & Cathy Jaramillo&apos;s book Seattle Stair Walks (2012) as Seattle&apos;s second longest staircase Blaine draws urban exercise enthusiasts from all over. The book promotes the gardens lavishly and we’re grateful. Blaine (293 stairs) and Howe (292 stairs + 96 new steps under I-5 in Colonnade Park) make for an idyllic loop for those looking either for a nice walk, or an exercise route. In 1962, Dan Streissguth completed building his house on the lot he had purchased north of the Blaine Street stair. He immediately commenced work on the garden surrounding his new home. In 1965 Ann moved into the adjacent house at 1806 Broadway East and began at once working on her hillside garden. The winter of 1968 saw the two gardens combined through Ann and Dan&apos;s marriage. The couple settled into what had been Dan&apos;s house, leasing out Ann&apos;s house in the years since, while continuing to care for the combined gardens. 1970 welcomed the birth of Ann and Dan&apos;s son, Benjamin. In 1972 the family purchased the hillside lots south of the Blaine Street stairway and began nurturing them into a cultivated green space. After twenty-four years of growth and development, the family&apos;s 1996 gift of the land to the city led to the garden becoming a public space. That same year, as the Streissguth land was transferred to public ownership, the city purchased (from a third party) the larger hillside tract abutting the existing garden to the south. The gifted garden and the adjacent heavily-wooded purchased land were incorporated into the city&apos;s existing St Marks greenbelt. This extended the older 1/4 mile long green space a full city block further north, connecting it to the busily-used public stair right-of-way along East Blaine Street. As the garden has grown and matured, the number of people enjoying and visiting it has also grown. It has been featured in several newspaper articles, several magazines, a radio interview, and even a short TV spot. 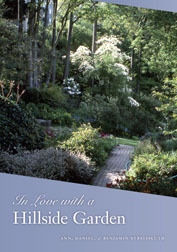 We have been thrilled to work with the University of Washington Press in publishing our 2009 book about the Garden: In Love with a Hillside Garden and are very grateful to the Seattle Arboretum Foundation for co-sponsoring the book. We are pleased to announce that all the proceeds of the book are donated directly to the Arboretum Foundation. We hope you&apos;ll pick up a copy today, either at the Arboretum gift shop, online at the UW Press, or your local small book dealer. If all else fails, you can get it at the major bookstore chains and at online retailers. In 2007 the Dan and Ann worked with the Seattle Parks Foundation to establish an endowment for the garden that hopefully would one day cover the long-term maintenance of the two lots they donated. In 2012 we received a grant from the Raynier Foundation to expand the irrigation. Over the years we have also received numerous generous individual gifts from admirers of the garden. Dan and Ann have been generously funding Ben’s time to manage the garden. In early 2018, a chance visit to the garden by Jade again changed the course of the garden. Ben and Jade discovered a mutual love of gardening, plants, and garden management while Ben was giving Jade a tour. They also discovered a 42-year-old missing friendship which quickly developed into more. In June of 2018 Jade joined the Streissguth Garden team as a gardener, and in early 2019 was promoted to assistant director. Together they are tackling not only the complex task of managing and renovating the gardens but are also exploring options for historic preservation. They will be ensuring that the gardens survive long after they do. We&apos;ll be adding a new series of 360 images (hopefully one per month) so you&apos;ll be able to explore differing parts of the garden in different seasons. Check out the new 360 view under the Photos tab for more 360 images. The Slide Path in May. Neighbor's Kyle and Nicole have a wonderful room listed on AirBnB.